Of course, I’ve read this verse many times before as I’ve studied the book of Romans, but yesterday it really grabbed my attention. I think it was “scruples” that popped out at me. It seemed an odd word to be in the Bible, and in fact, the King James uses the word “infirmities.” At any rate, my curiosity was piqued and I pulled out a few other translations to see how they put it. These verses were a reminder to me that God commands His people to look around them to see how they can help their neighbors. From the story of the Good Samaritan, I know that my neighbor is any person God puts in my path. I need to be watchful for others who need a hand and offer mine. The needs may be spiritual, emotional, physical, or financial. God doesn’t expect me to solve everyone’s problems, but He does expect me to offer service to those He brings to my attention. The popular Bible teacher Bruce Wilkinson (author of The Prayer of Jabez and The Dream Giver) personalizes this question to open doors of opportunity to help others without interferring where he is not wanted. When he feels the Holy Spirit impressing upon him to offer assistance to someone, he approaches them and simply asks “How may I help you?” It is direct and to the point. Often the person’s first reaction is to deny needing his help. When Bruce persists, they open up and share their problems. Sometimes God directs Bruce to meet the need immediately by giving the person money; other times God direct Bruce to provide godly counsel; and occasionally Bruce simply prays for the person. Bruce based his approach on the example of Elisha the prophet in the story of the Widow’s Oil (2 Kings 4:1 – 7). 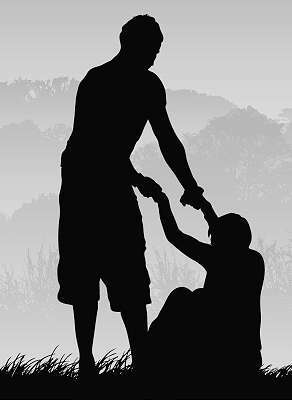 If God has directed you through the nudging of the Holy Spirit to recognize and assist to a person in need, please consider sharing your story as a means of encouraging others.